C# is a well-established development language and as such there are many options for Csharp static code analysis. When you ask developers what they’re looking for in static code analysis, it almost always comes down to the quality of the reporting from the analysis itself. The harder it is to obtain useful actionable data – the less likely they are to engage with the process. They want to spend their time developing code, rather than hunting for problems. If problems are identified late in the development lifecycle then they may become a serious pain to fix – after all it’s difficult for everyone to understand what they were thinking of a few months back. 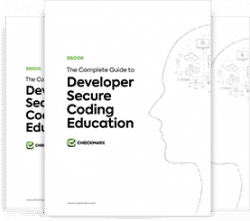 The Checkmarx static code analysis functionality delivers exactly what developers are looking for. Tests are easy to run and they’re quick to run. That enables developers to implement static code analysis without losing focus on development. The tool identifies issues with the code with a high degree of accuracy and false positives and negatives are kept to a minimum. Reporting can be generated in graphical format to identify trends or areas with specific issues. The tool also pinpoints where in the code a problem may be found, and that allows developers to quickly apply a fix without having to review the entire code base. C# development teams can use Checkmarx to ensure that their release schedule is met while focusing on the security and robustness of the code for those releases.